Welcoming front porch provides space to enjoy the beautiful front landscaping. Open floor plan, wood floors & neutral color scheme fits all lifestyles. Bright eat-in kitchen w/lots of storage looks out onto easy to maintain backyard with mature trees, large patio and wood deck. 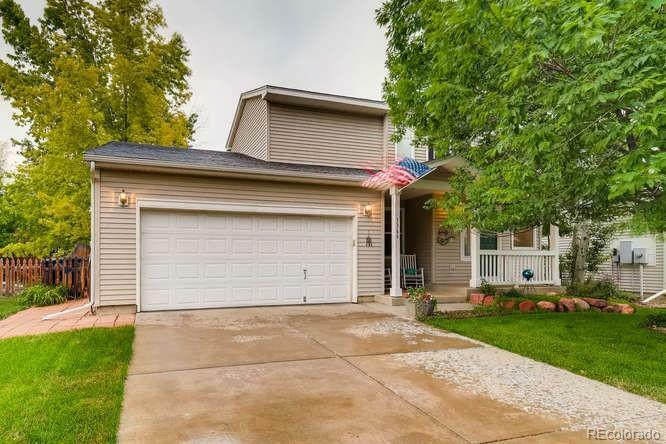 Large basement & crawl space offers room to grow, vaulted ceilings, custom blinds, close proximity to schools & close to neighborhood park make it a MUST SEE! $3,000 Carpet Allowance Offered. Offered by Re/Max Alliance -Downtown.